What we call "fall vegetables" are actually ones that do best when the weather is cooler and may actually be the same as many vegetables you would grow in the early spring or even in summer, depending on your climate. In northern areas, spinach, broccoli, peas and even cabbage may be grown during the summer months since you may not get above 85°F during that time. 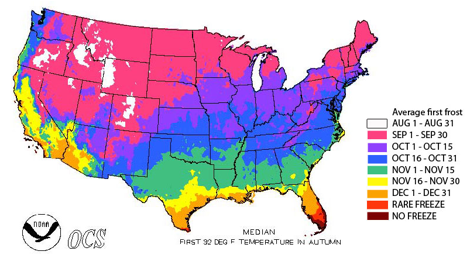 In southern areas, because we get above 85°F very quickly, generally in May, we cannot grow these types during summertime but have to grow during shoulder seasons of early spring and late summer through fall. Timing for planting is crucial as each plant will have a certain number of days required for full maturity. In the case of leafy greens, this is not as important since you can harvest them early and continue even after your frosts come, but for flowering vegetables such as broccoli and Brussels sprouts, you have to make sure that maturity happens before your first freeze in late fall. The days to maturity counted back from the average first frost date works to determine the best seeding time for Brassicas. Before you can plant anything new, you should do a simple soil test to make sure the pH is still up at above 6.0 If it isn’t, add 1 pound of lime per 100 square feet for each .5 below that number. Hydrated lime will work quickly to correct the pH for fall vegetables. Remove all of the dead plants that are no longer producing fruit. Most can go into the compost pile but any plant material that had diseases or insect problems should be disposed of to avoid carry over to the next season. Add an inch or two of good rich compost and rototill the beds but make sure to remove any weeds carefully so that seeds are not spread out all over your garden. Any portion of the garden that is not going to be planted until next spring should be covered with hay or black plastic or, for additional nitrogen, you can plant a cover crop of clover or rye grass to turn under in the spring. Broccoli, Brussels sprouts, spinach, and cauliflower, peas, lettuces and greens of all types can be grown in the fall. Most are frost tolerant and some can withstand freezes and even snow on the ground. Cabbages can grow huge but live over until early spring. All types of salad greens can be planted and harvested at various stages. Even warm season plants such as Bush beans can be grown in a fall garden by planting early varieties in July or August; they will be able to produce beans before the first frost! Many bush bean varieties take only 50 to 60 days to mature. Peppers generally ripen in the south very quickly in our hot dry months of August and September, so leave them in the ground for as long as they are producing. Well-watered plants will continue to fruit through the fall months. Peppers are also easy to freeze for storage and are great flavorings for soups when the weather is colder. After peppers die back from the first frost, pull the plants out and set aside that area for potatoes in early spring. Cover the row with a heavy layer of hay straw to begin to break down and lighten the soil. 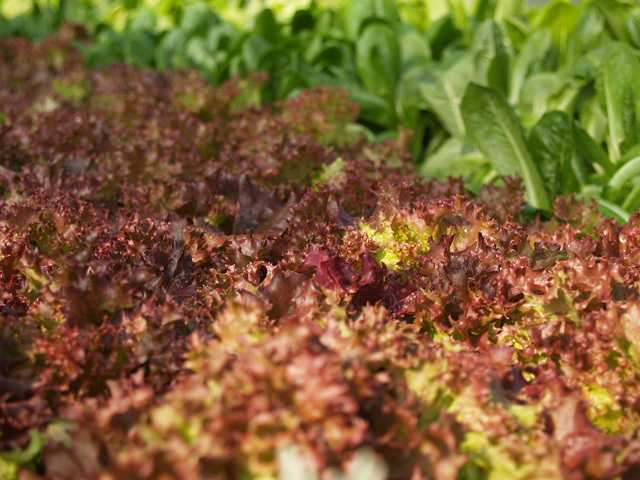 Lettuces and greens are full of nutrition and they will thrive with cooler nights and actually taste sweeter. Plant them while it is still warm and watch them get larger as the temperatures drop. Spinach, one of our favorites, can be grown in even the coldest areas, all winter long with a covering of special lightweight fabric placed over the plants. Carrots can also be grown during the fall months. Pull what you need for vegetable soup and Thanksgiving dinner and leave the rest in the garden until you need them. Garlic and shallots are best started in the fall, around September to mid-October, and left to overwinter. Spring will bring a harvest of huge bulbs ready to pull around late May to early June. Plant bunching or green onions in early fall and plan to harvest them in November leaving room for bulbing sweet onions to be planted January through March. Another leafy green similar to kale but with larger, stronger-flavored leaves. 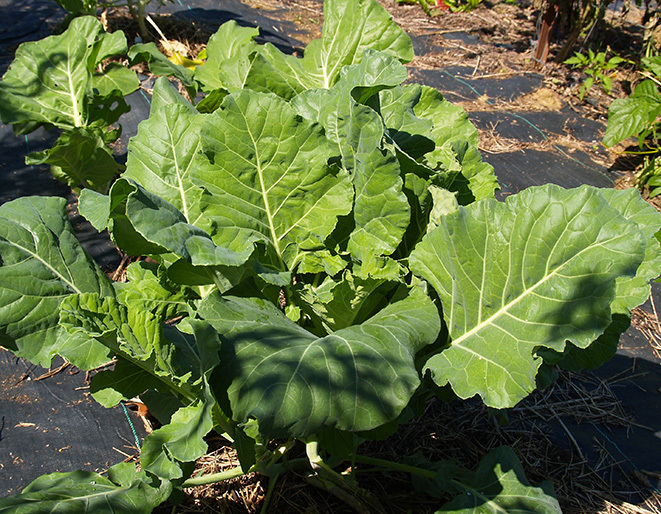 Very nutritious leafy greens on huge plants that overwinter easily even in cold climates. Spicy hot leaves. 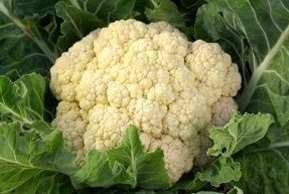 This is a very fast growing vegetable, which can be harvested quickly and eaten all through November and into December. Very easy to grow and delicious to eat braised with a little garlic, or in a soup or stew. Leaves can get quite large and will produce all winter long in mild areas. Incredibly delicious when you grow your own. Broccoli grows a central flower head and continues with side shoots that can be harvested after the main head is cut. Best from transplants, these are wonderful little cabbages to grow. Check days to maturity for best results in your growing area. Planting must be timed well in order to develop large heads, but they are sweet and delicious when grown fresh. Huge plants make good sized heads, watch for the number of days to maturity for best results. Perfect vegetable for fall production. The stalks are tender and tasty. While not exactly winter crops, beans and peas love the cooler weather of fall and fast-maturing varieties will grow and harvest before your first frost. Easy to grow and perfect for winter soups. Grow them like onions but harvest them anytime. Cold hardy up to about 28°F, baby fennel is perfect for winter salads. Easy to grow and long lasting. Harvest them similar to large chives. Hardy vegetables tolerate hard frosts (usually 25° to 28° F). They are good for spring and fall gardens. 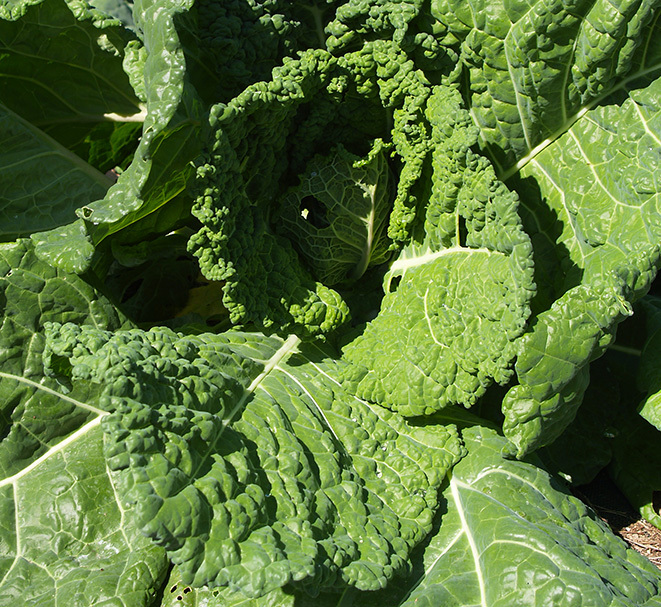 The hardiest – kale, spinach, and collards – can tolerate temperatures in the low 20s and high teens. All of these vegetables taste best when they mature in cool weather, so they are very well suited to late summer planting for fall harvests. Harvest extends into winter in the Southeast, Southwest, and Pacific Northwest. 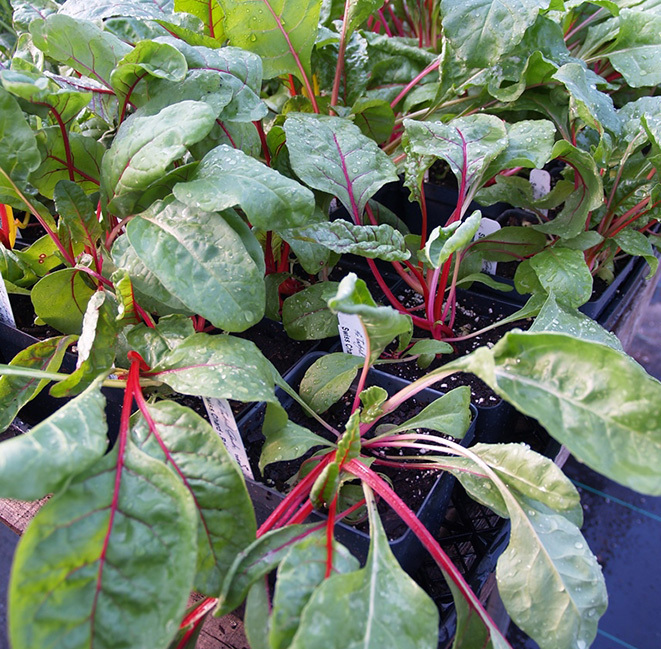 Semi-hardy vegetables tolerate light frosts (usually 29° to 32° F) late into fall and through winter in mild climates. The Tasteful Garden, in operation since 1996, is owned by Cindy and George Martin, and is located in Heflin, Alabama, which is directly between Birmingham and Atlanta, Georgia. We grow all varieties of culinary herbs and over 150 types of heirloom and hybrid tomatoes, vegetables and pepper varieties which are sold on our website, www.tastefulgarden.com and shipped all over the United States. We are certified organic for everything we grow!